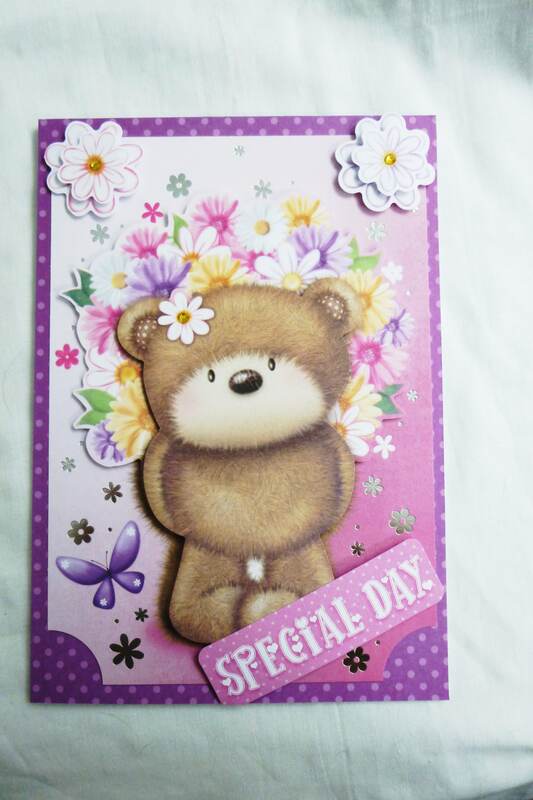 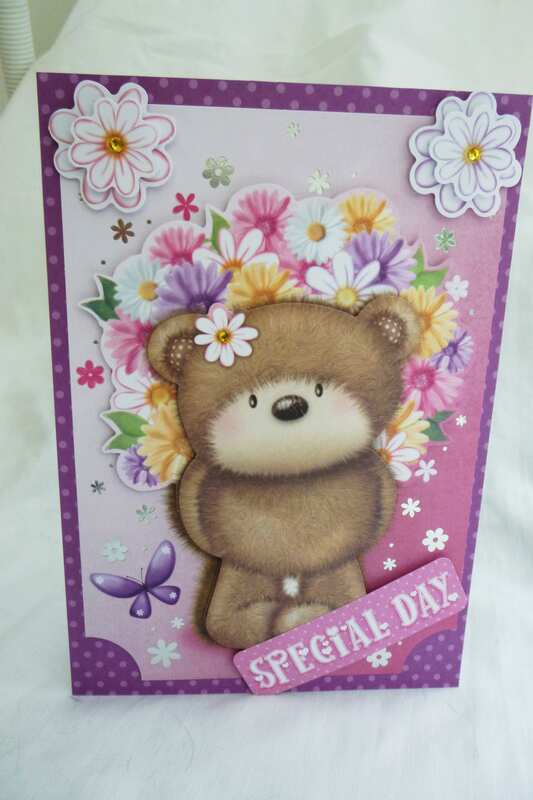 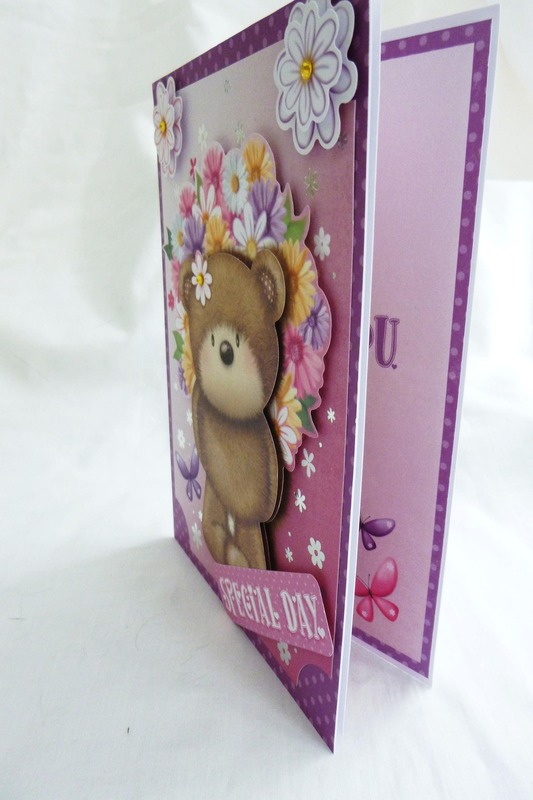 A lovely card suitable for any age, large brown bear holding a colourful bouquet of flowers behind its back, tow large flowers in the top corners with yellow crystals in the centre, at the bottom of the card is the sentiment which says, 'Special Day'. 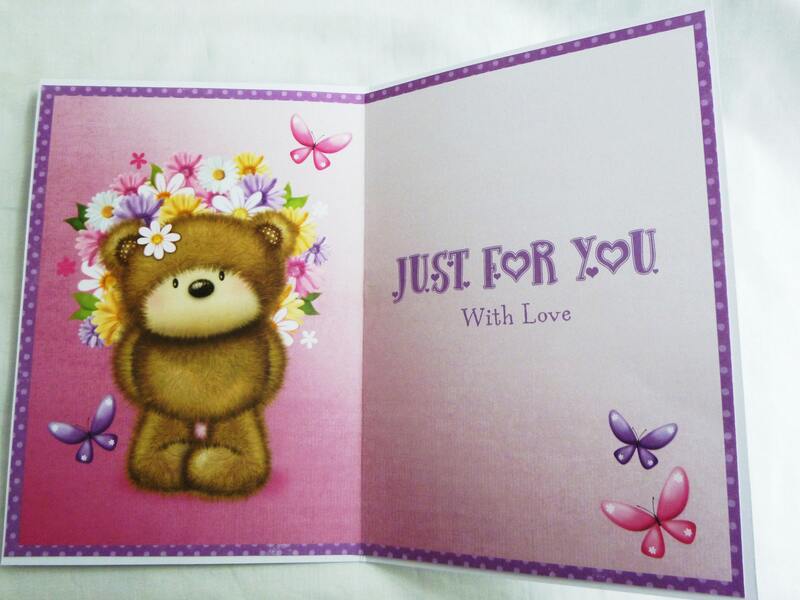 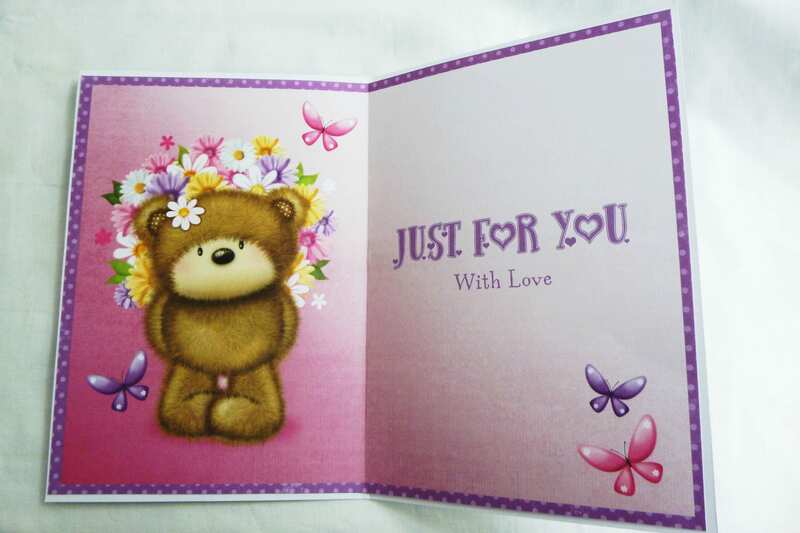 Inside the card is insert paper which says,'Just For You With Love'. 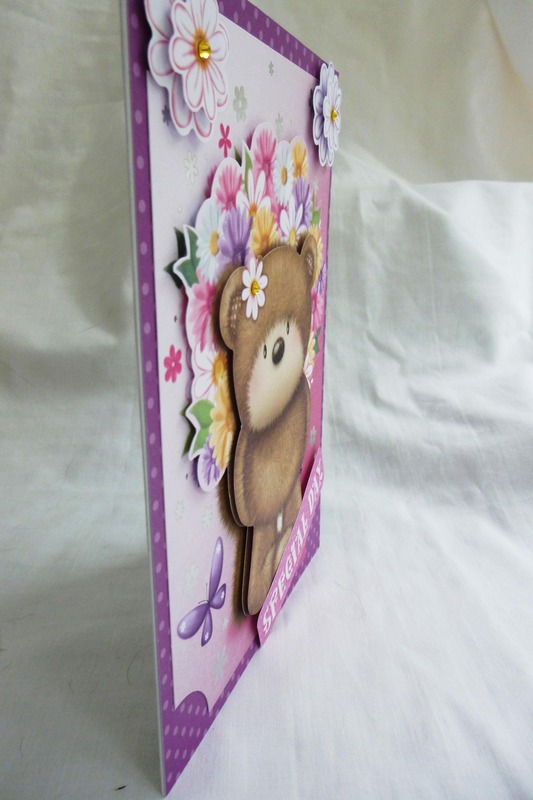 The card measures 6 inch x 8 inch, 15 cm x 20 cm,includes a white envelope.